The following are Valentine's Day tips from the American Academy of Pediatrics (AAP). But feel free to use these tips year round, not just on Valentine's Day! 1. Use plenty of positive words with your child. Try to avoid using sarcasm with your child. They often don’t understand it, and if they do, it creates a negative interaction. 2. Respond promptly and lovingly to your child's physical and emotional needs and banish put-downs from your parenting vocabulary. 6. Make plans to spend time alone with your young child or teen doing something she enjoys. 10. As your child grows up, she'll spend most of her time developing and refining a variety of skills and abilities in all areas of her life. You should help her as much as possible by encouraging her and providing the equipment and instruction she needs. 11. Your child's health depends significantly on the care and guidance you offer during his early years. By taking your child to the doctor regularly for consultations, keeping him safe from accidents, providing a nutritious diet, and encouraging exercise throughout childhood, you help protect and strengthen his body. 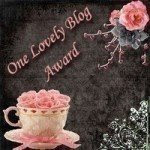 1 comments on "14 Ways to Show Love for Your Child"
Your blog makes me happy! Thank you for being so positive and for sharing your love of motherhood. as a Happy Valentine's Day for you and your little ones! I graduated from Brigham Young University (BYU) with a BS degree in Marriage, Family and Human Development . Now I'm working on my Masters Degree in Mothering. Anticipated graduation date? Maybe eighty years from now?? Mothering appears to be a lifelong pursuit. "Live a good life yourself." "Love is the very essence of life." "You are the heart of the home."